It has been a long time coming but EA Sports has finally released FIFA 16 Ultimate Team for Android today. 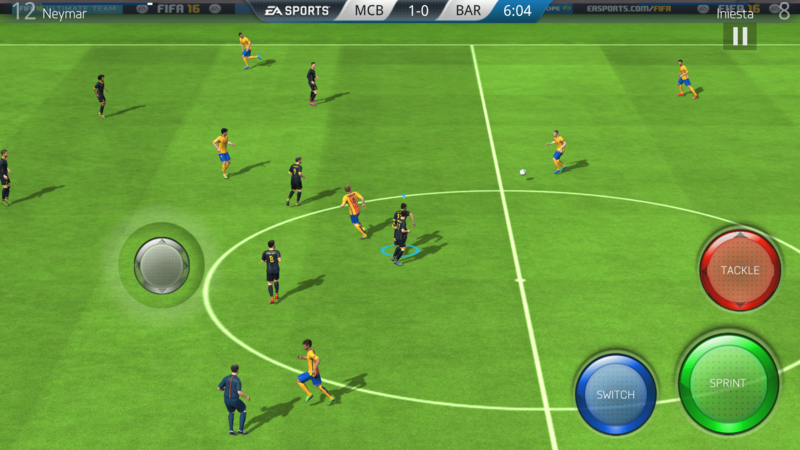 The updated game brings you access to 10,000 players across 500 licensed teams globally, meaning that you can build your ultimate football team to take on the world. There are a lot of improvements to this years game, most notably the graphics. The game play and graphics in FIFA 15 were not bad but FIFA 16 Ultimate Team really improves upon them both. While it will work on other devices, you will probably experience degraded video and maybe even a bit of lag. Since the game is free, give it a try on your device before making any in-app purchases. Also note that to install the game you will need a massive 1.4GB of storage available on your device. Yes, all that eye candy comes at a storage price.